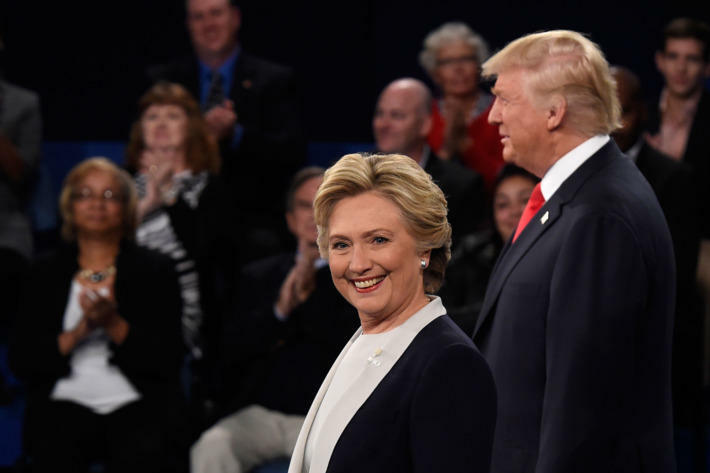 Wednesday night is the third and final presidential debate, and marks the last chance for Donald Trump and Hillary Clinton to make their case to voters on a national stage. Kathy Sullivan of Manchester is a member of Democratic National Committee. She joined NHPR’s Morning Edition to talk about the debate. One topic sure to come up tonight is the revelations from hacked campaign emails released by Wikileaks. We’ve seen, among other things, transcripts of paid speeches Clinton gave to Goldman Sachs, which she had refused to release. How do you want to see Clinton respond to questions about the Wikileaks emails? Well, first we have to remember that the Wikileaks emails are a result of illegal hacking that has been linked to the Russian government and obviously there’s some effort here to interfere with the election. To the extent that the Wikileaks materials may have some correct information in them, I think really what they have shown is Hillary Clinton is a pragmatic, cautious leader who’s willing to listen and learn. And based on things that she learns and hears about in the course of the campaign trail is willing to then listen to people and modify her positions based on what she’s hearing and learning. And I think that’s what you want in a president. You want somebody who’s pragmatic. You want somebody who’s willing to learn and I think that’s the Hillary Clinton we’re going to hear from tonight. But aren’t there legitimate questions raised through these emails that she needs to address? For example, doesn’t her reluctance to release those speeches only feed into concerns about transparency Bernie Sanders raised during the primary? Well, if you want to talk about transparency, you know, I think we learned some things about Hillary Clinton which I think confirm the things I knew about her: that’s she a very capable person and someone who is willing to learn and listen. At the same time, in the last couple weeks, we’ve learned a lot about Donald Trump. We’ve learned he’s a guy who likes to boast about sexually assaulting women, comment on the looks of the women that he groped, and also is willing to undermine the integrity of the election process to salve his ego because he thinks he’s going to lose. So you tell me: who comes out better than in that argument? What should her message be tonight to voters who may not want to vote for Trump, but still have concerns with her when it comes to issues like trust? 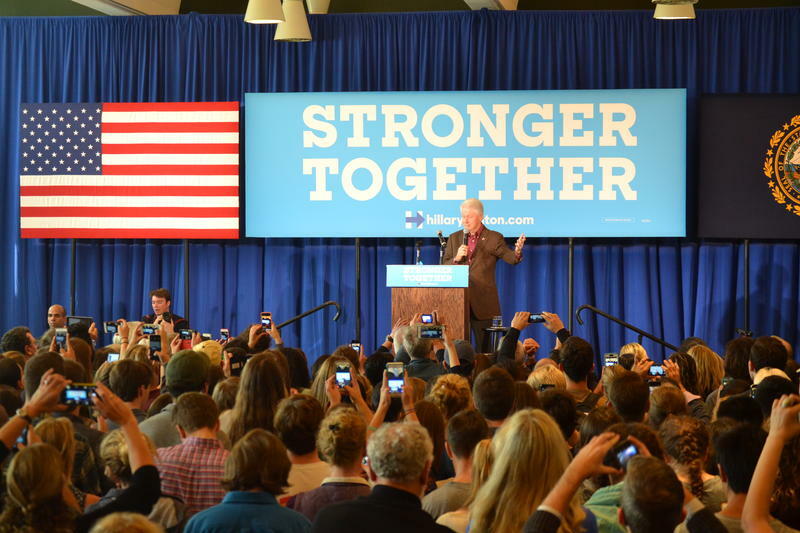 I think what Hillary Clinton needs to do and where I hope the debate focuses tonight is on the issues so that they can hear the clear contrast between the candidates on issues that matter to the American people. For example, Hillary Clinton’s tax plan, which will provide relief to the middle class and the working class, Hillary Clinton’s plan with respect to education and early childhood learning, all the way through to college and technical education. There are so many issues that haven’t been touched upon in the debates, such as environmental issues. And I think if they’re able to focus on the issues and not on what Trump has tried to do in the last couple of debates, then I think people will hear that real contrast and will like what Hillary Clinton has to say. I hope they will get to see the Hillary Clinton I know, which is a person who’s very smart, very charming, very funny, and I find to be very trustworthy. Clinton is leading in nearly every national poll, but what’s her message tonight to rally the base and make sure there’s the kind of turnout she needs to win in November? Again, I think by focusing on the issues that are important to the people of this country. When you look at the two of them and the issues that are important to the people, which are the economy, education, those types of issues people care about, they will be rallied to support Hillary Clinton. And having been out to the various campaign offices, having gone to the events, you see so many people coming out who are so excited about Hillary Clinton’s candidacy for president and at the prospect of her becoming president, there’s so much excitement and enthusiasm out there that it doesn’t really take too much more to rally the base to come out and vote because people are ready. And I think if you look at the early voting statistics that are coming out from the states that have early voting and the way that more and more Democratic voters have been voting in comparison to the Republicans, I think that shows there’s a lot of enthusiasm out there and that people are ready to vote and they want to come out and vote for Hillary Clinton. Town hall political events are dear to New Hampshire but not to Donald Trump, who built his campaign on huge rallies. And there were early signs Thursday night that Trump’s event in Sandown never aspired to be a true town hall. In One Of N.H.'s Only Swing Districts, Can A Candidate Be As Complex As The Voters? New Hampshire is still considered a swing state, despite a trend toward Democrats in the last few presidential elections. But when you look further down the ballot, there are relatively few districts that can still be called battlegrounds—most are reliably red or blue. 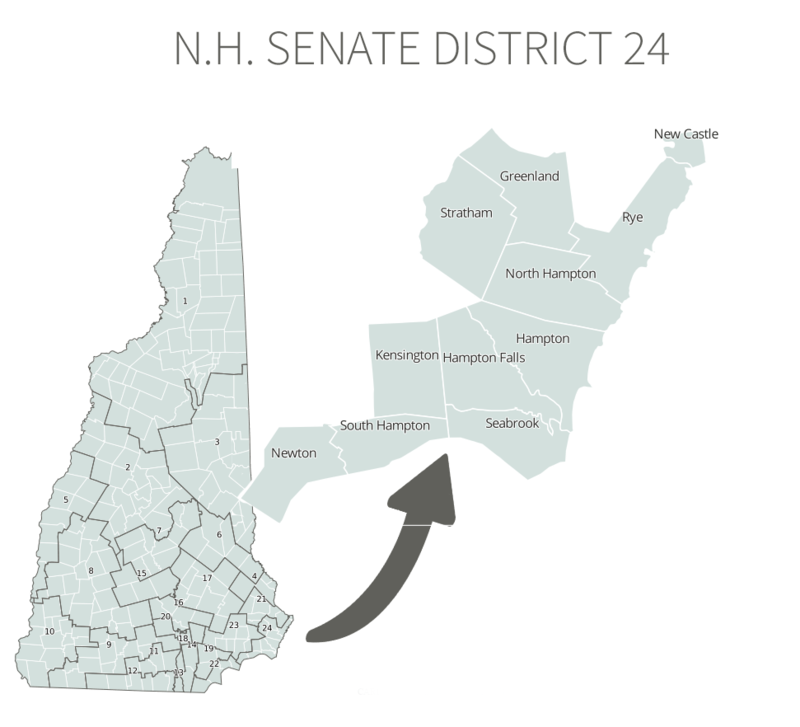 One of the last ones left is a long slice of the Seacoast—State Senate District 24. 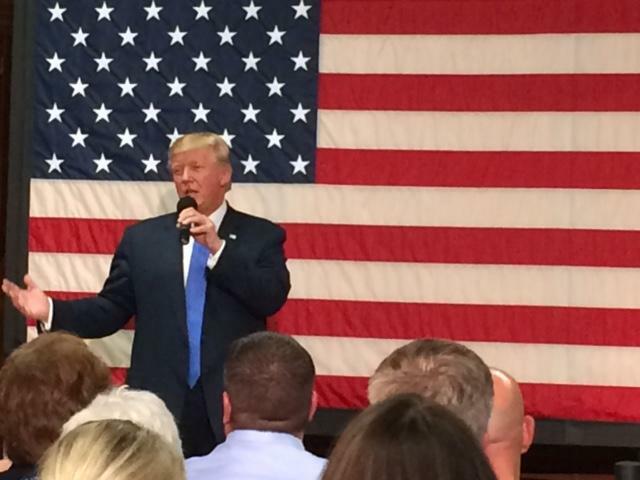 NHPR’s Natasha Haverty reports on how two candidates are working to tip the scales there. Donald Trump and Hillary Clinton take the stage Wednesday night in Las Vegas for the third and final presidential debate. Republican National Committeewoman Juliana Bergeron of Keene joined NHPR’s Morning Edition to talk about the debate and what she’s hoping to hear from Trump. 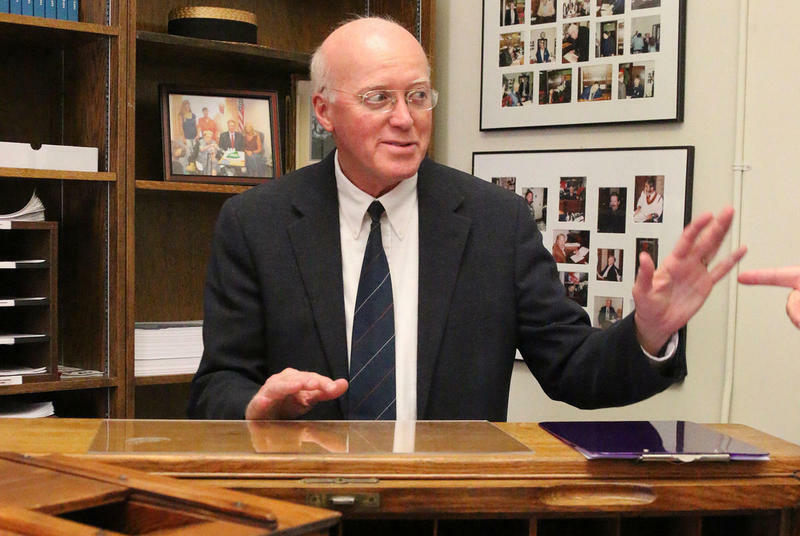 The way Secretary of State Bill Gardner sees it, Granite State elections have gone on under dire circumstances before. This year, he thinks New Hampshire will be able to handle whatever’s in store this year on Election Day.